The Miami Heat have taken a 3-1 lead in the NBA Finals with a 104-98 win over Oklahoma City last night. They can wrap up the series at home on Thursday. Miami got a 25-point effort from guard Mario Chalmers that helped offset the 43-point performance from Thunder guard Russell Westbrook. Here’s a few notes looking to Thursday’s Game 5 and a glance back at Westbrook and Chalmer’s big games last night. * The team that won both Games 3 and 4 has won 10 of 12 titles. * Losing Game 5 would not be a good omen for the Heat. Since 1985, if the team hosting the middle three games of the series lost one (or more) of those three games, they won the series only four times. The last team to split the first two games on the road and then sweep the next three games at home were the 2004 Detroit Pistons. * There have been three times when the team hosting Games 6 and 7 won both of those contests to win the title: 1988 (L.A. Lakers), 1994 (Houston) and 2010 (L.A. Lakers). * If the series goes to a seventh game, the home team has won four and lost none since 1985. * Of the seven times when the team that hosted the middle three games won the series, in five of those series the champion won Game 6 on the road. Westbrook’s 43-point performance. Westbrook became the seventh player since 1988 to score 40 or more points in a finals game in a losing cause. The other six: Shaquille O’Neal, 44 (June 6, 2001); Michael Jordan, 44 (June 13, 1993); Isiah Thomas, 43 (June 19, 1988); Charles Barkley, 42 (June 11, 1993); Michael Jordan, 41 (June 18, 1993); James Worthy, 40 (June 13, 1989). 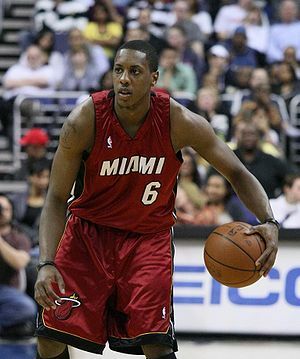 Mario Chalmers scores 25 points. A couple interesting stats about Chalmer’s 25-point game: In the short two-year LeBron James era in Miami, the Heat have now played in 10 NBA Finals games. Dwyane Wade has score 20 or more points in eight of those 10 finals games; James has scored 20+ in seven of those contests; the other member of the Big Three, Chris Bosh, has scored 20+ in one game. With his 25 points last night, Chalmers, became the first Heat player not named James, Wade or Bosh to score 20 or more points in a finals game. In fact, only two players not named James, Wade or Bosh have scored 15 or more points in an NBA Finals game for the Heat: Chalmers has now done it three times, Shane Battier did it twice this series. In addition, the Heat have played 43 playoff games in the LeBron James era. Only two players other than the Big Three scored 20 or more points in one or more of those 43 playoff games: Chalmers has now done it four times (three times in the 2012 playoffs) and James Jones had 25 in a games last year against Boston. Sports Stats ‘on Tapp’ is a sport statistics blog published daily that focuses on stats that go beyond the numbers. A lot of experts figured that the NBA Finals would come down to a battle between the Big Three for each team, Miami’s LeBron James, Dwyane Wade and Chris Bosh vs. the Thunder’s Kevin Durant, Russell Westbrook and James Harden. In the first three games, each of these players has had their moments. But one of the biggest surprises of the series has been the play (or should I say, the shooting) of the Heat’s Shane Battier. Through the first three games, Battier is averaging 14.3 PPG and has made 11 of 15 three-point shots. It’s the three-point shooting that has elevated Battier’s game in this series. For the 2011-12 season, Battier made 62 three-pointers in 65 contests. In the ’12 playoffs, however, Battier has made 38 threes in 21 games, almost doubling his output in that category in the playoffs. In Sunday’s game, Battier became the 32nd player in NBA history to make 11 or more three-pointers in an NBA Finals series. And with at least two more games on the docket for this series (and maybe more if the Thunder have anything to say about it), Battier could make a run at the NBA record for most threes in a finals series. Battier has not only has made 11 threes in this series, but his accuracy has been at an all-time high, for him and in the history of the finals. Battier is 11-for-15 from beyond the three-point, a .733 percentage. Battier currently has the best three-point shooting percentage of any player in the NBA Finals in NBA history (minimum of 11 three-point shots made to qualify for the list). Whether or not he can keep his percentage over .700 for the series will obviously play out over the next few games.